Skillmates: A Mature Skilling Clan on Runescape. 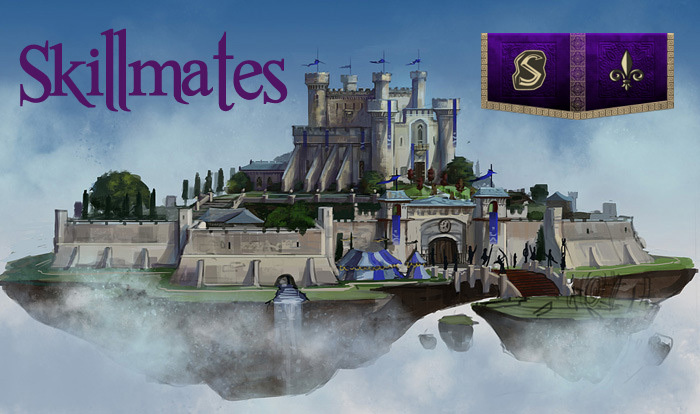 » Thinking of Joining Skillmates? Law 2 - Item Scamming: You must not scam or deceive other players. Law 3 - Password Scamming: Asking for another players password for any reason will not be tolerated. Law 4 - Cheating/Bug Abuse: Any bugs found within the game must be reported to Jagex immediately. Law 5 - Jagex Staff Impersonation: You should not attempt to impersonate Jagex staff in any way. Law 6 - Account Sharing/Trading: Each account should only be used by ONE person. (this is a grey area, according to Jagex atm). Law 7 - Third Party Software: You must not use other software to gain an unfair advantage in the game. Law 8 - Asking for GP/Items from a clanmate. Law 9 - Encouraging Others to break Rules: You must not encourage others to break any of the RuneScape rules. Law 10 - Misuse of Customer Support: This service must be used appropriately and treated with respect at all times. Law 11 - Advertising/Website: You are not allowed to actively advertise in the RuneScape game or RuneScape forums. Law 12 - Real World Trading: RuneScape items must only be exchanged for other items/services within the game. Law 13 - Personal Details: To protect players' safety and privacy, you must not ask for or give out personal details. Law 14 - No drama in the clan chat or about the clan or admins actions. Admins are a team and unless the actions of an admin require immediate attention any actions are discussed before major actions such as removal from the clan happens. Breaking any of the above rules can and will result in removal from Skillmates. Yep. Be nice and share your swords! But better yet, share your stories! Dang!! Didn't know I would have to share and make nice! For those of you who didn't know the clan has rules I will bump this thread. Take notice of rule 8.